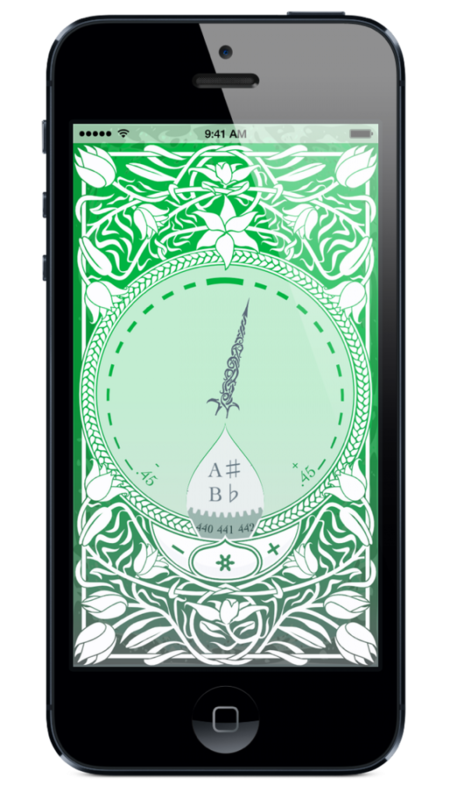 Inspire your music with this fast, accurate, beautiful chromatic tuner app for any instrument or voice. Go from pocket to perfect pitch in seconds without extraneous distractions. Easily change concert A pitch standard from 220-880 Hz. Teüna is now available on the App Store! For future news, please sign up for our mailing list at the top right of this page, or follow @TonallyAwesome on Twitter. How do you pronounce Teüna? The heavy metal umlaut is silent. Pronounce “eu” as in “feud”. All of a sudden you’ve got a posh British accent. Like all microphone-based tuners, it works best in a quiet environment. Also, loud instruments can overload the mic if it’s too close. On the music stand often works better than inside the instrument, for example. Are you going to add feature X, Y, or Z? Teüna 1.3 will be available soon featuring wider standard pitch definitions for early music aficionados. Next on my list are temperament options other than Equal Temperament and an alternate color scheme for dark environments. Contact me below if you have other suggestions. Just email me at teuna@tonallyaweso.me, or Tweet to @TonallyAwesome.